General William Sherman William Tecumseh Sherman was an American soldier, businessman, educator and author. He served as a General in the Union Army during the American Civil War, for which he received recognition for his ... Born: February 8, 1820, Lancaster, OH Died: February 14, 1891, New York City, NY Buried: Calvary Cemetery, St. Louis, MO Children: Thomas Ewing Sherman, Eleanor Sherman Thackara, More Battles and wars: First Battle of Bull Run, Battle of Shiloh. 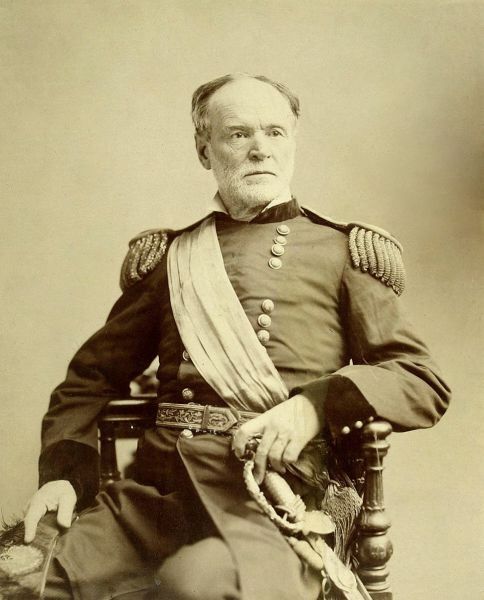 William Tecumseh Sherman's early military career was a near disaster, having to be temporarily relieved of command. He returned at the Battle of Shiloh to victory and then gathered 100,000 troops destroying Atlanta and devastating Georgia in his March to the Sea. Often credited with the saying, "War is hell," he was a major architect of the modern total war. Early Life William Tecumseh Sherman was born to a prominent family in Lancaster, Ohio, on February 8, 1820, one of 11 children. His father, Charles Sherman, was a successful lawyer and Ohio Supreme Court justice. When William was nine years old, his father died suddenly, leaving the family with few finances. He was raised by a family friend, Thomas Ewing, a senator from Ohio and prominent member of the Whig Party. There has been much speculation on Sherman's middle name. In his memoirs, he wrote that his father gave him the name William Tecumseh because he admired the Shawnee chief. Early Military Career In 1836, Senator Ewing secured William T. Sherman an appointment to the United States Military Academy at West Point. There, he excelled academically but had little respect for the demerit system. He never got himself into deep trouble but had numerous minor offenses on this record. Sherman graduated in 1840, sixth in his class. He first saw action against the Seminole Indians in Florida and had numerous assignments through Georgia and South Carolina, where he became acquainted with many of the Old South's most respected families. 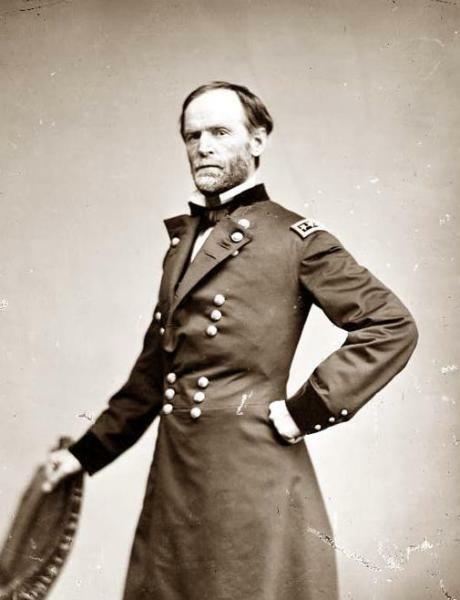 William T. Sherman's early military career was anything but spectacular. Unlike many of his colleagues who saw action during the Mexican-American War, Sherman spent this time stationed in California as an executive officer. In 1850, he married Eleanor Boyle Ewing, the daughter of Thomas Ewing. With his lack of combat experience, Sherman felt that the U.S. Army was a dead-end, like this resigning his commission in 1853. He stayed in California during the glory days of the gold rush as a banker, but that ended in the Panic of 1857. He settled in Kansas to practice law, but without much success. In 1859, William T. Sherman was the head master at a military academy in Louisiana. He proved to be an effective administrator and popular with the community. As sectional tensions rose, Sherman warned his secessionist friends that a war would be long and bloody, with the North eventually winning. When Louisiana left the Union, Sherman resigned and moved to St. Louis, wanting nothing to do with the conflict. Though a conservative on slavery, he was a strong supporter of the Union. After the firing on Fort Sumter, he asked his brother, Senator John Sherman, to arrange a commission in the Army. Service in the Civil War In May 1861, William T. Sherman was appointed colonel in the 13th U.S. Infantry and was assigned command of a brigade under General William McDowell in Washington, D.C. He fought in the First Battle of Bull Run, in which Union troops were badly beaten. He was then sent to Kentucky and became deeply pessimistic about the war, complaining to his superiors about shortages while exaggerating the enemy's troop strength. He was eventually put on leave, considered unfit for duty. The press picked up on his troubles and described him as "insane." It is believed Sherman suffered a nervous breakdown. In mid-December 1861, Sherman returned to service in Missouri and was assigned rear-echelon commands. In Kentucky, he provided logistical support for Brigadier General Ulysses S. Grant's capture of Fort Donelson in February 1862. The following month, Sherman was assigned to serve with Grant in the Army of West Tennessee. His first test as a commander in combat came at Shiloh. Likely fearing renewed criticism of appearing overly alarmed, William T. Sherman initially dismissed intelligence reports that Confederate General Albert Sidney Johnston was in the area. He took little precaution shoring up picket lines or sending out reconnaissance patrols. On the morning of April 6, 1862, the Confederates struck with Hell's fury. Sherman and Grant rallied their troops and pushed back the rebel offensive by day's end. With reinforcements arriving that night, Union troops were able to launch a counter attack the next morning, scattering Confederate troops. The experience bonded Sherman and Grant to a lifelong friendship. William T. Sherman remained in the West, serving with Grant in the long campaign against Vicksburg. However, the press was relentless in its criticism of both men. 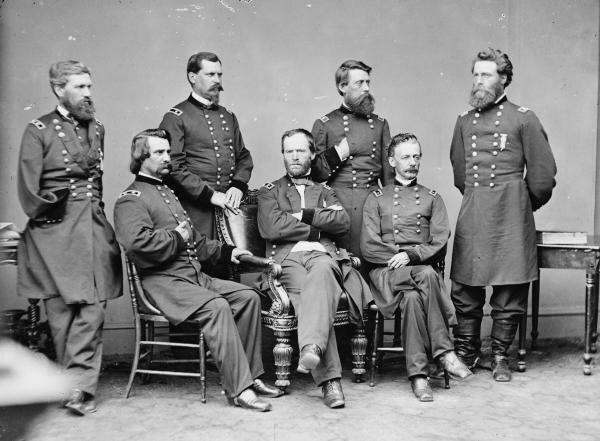 As one newspaper complained, the "Army was being ruined in mud-turtle expeditions, under the leadership of a drunkard [Grant] whose confidential adviser [Sherman] was a lunatic." Eventually, Vicksburg fell, and Sherman was given command of three armies in the West. 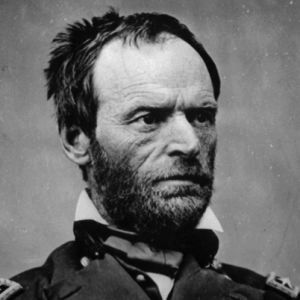 In September 1864, William T. Sherman took Atlanta and burned it to the ground. With 60,000 men, he began his celebrated "March to the Sea," ripping through Georgia with a 60-mile-wide path of destruction. Sherman understood that to win the war and save the Union, his Army would have to break the South's will to fight. Everything was ordered to be destroyed in this military strategy, known as "total war." When Grant became president in 1869, William T. Sherman took over as general commander of the U.S. Army. One of his duties was to protect the construction of the railroads from attack by hostile Indians. Believing the Native Americans were an impediment to progress, he ordered the destruction of the warring tribes. Despite his harsh treatment of Native Americans, Sherman spoke out against unscrupulous government officials who mistreated them on the reservations. Life After War In February 1884, William T. Sherman retired from the Army. He lived in St. Louis before moving to New York in 1886. There he devoted his time to theater, amateur painting, and speaking at dinners and banquets. He declined to run for the presidency, saying, "I will not accept if nominated, and will not serve if elected." William Tecumseh Sherman died on February 14, 1891, in New York City. According to his wishes, he was buried at Calvary Cemetery in St. Louis. President Benjamin Harrison ordered all national flags be flown at half-staff. Though vilified in the South as a demon who perpetuated atrocities on civilians, historians give Sherman high marks as a military strategist and quick-witted tactician. He changed the nature of war and recognized it for what it was: "War is hell."